Olivia, the largest Italian restaurant chain in Norway, continues to expand and opened its fourth restaurant in Oslo on 28 October 2016. This was the first new restaurant opened under Herkules Fund IV’s ownership. The new restaurant is located at Østbanehallen, close to the Central Station and the Opera House in Oslo, and can host up to 420 guests indoors and 200 guests outdoors. The newly opened restaurant is off to a strong start, with first week sales up by 60% compared with the same period last year (for the previous restaurant/concept). On an annual basis the expectation is that Olivia Østbanehallen will be the second largest restaurant in the group. 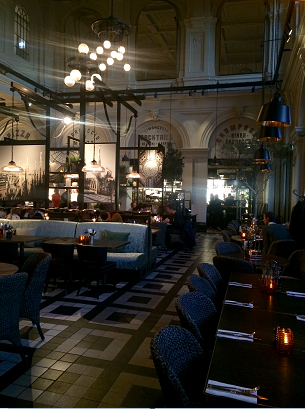 The Olivia group currently has restaurants located at Aker Brygge, Tjuvholmen, Hegdehaugsveien and now Østbanehallen. New locations in other large Norwegian cities are being evaluated. “We believe that there is a great expansion potential for Olivia. The strong concept, quality of food and wine, coupled with the authentic feel and atmosphere attracts many loyal customer”, says Sverre Flåskjer Managing Partner and responsible Partner of the Olivia investment.